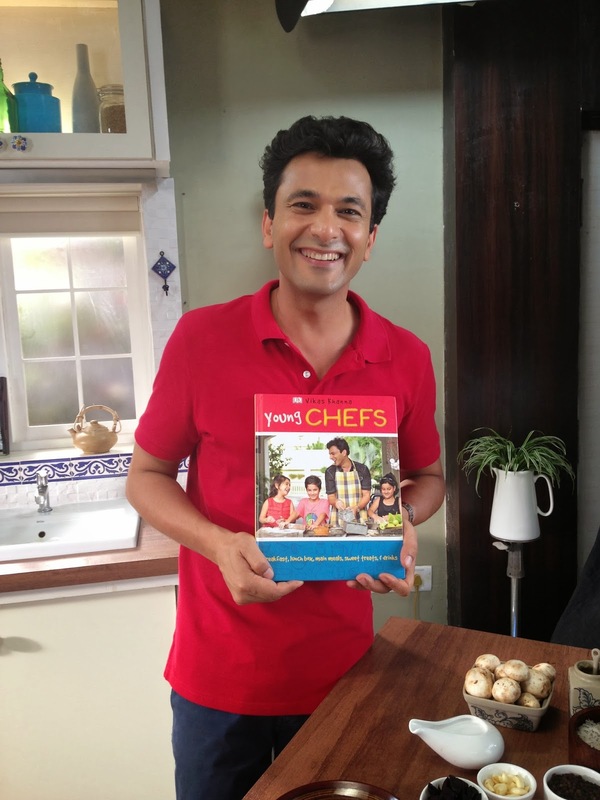 The Across My Table column has been silent for a while - a what better way to bring to the fore than with an interview with Chef Vikas Khanna, who was in the city in a while ago to promote his new book Young Chefs. 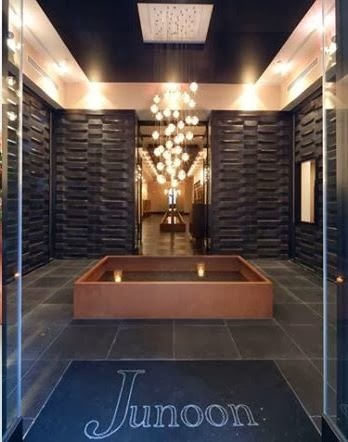 Michelin Star Chef, Restaurateur, Film Maker, Humanitarian, Host of Masterchef India Seasons 2 and 3, People magazine's Sexiest Man Alive for 2011, has catered to the Obamas.... the list of accomplishments and accolades is rather endless. 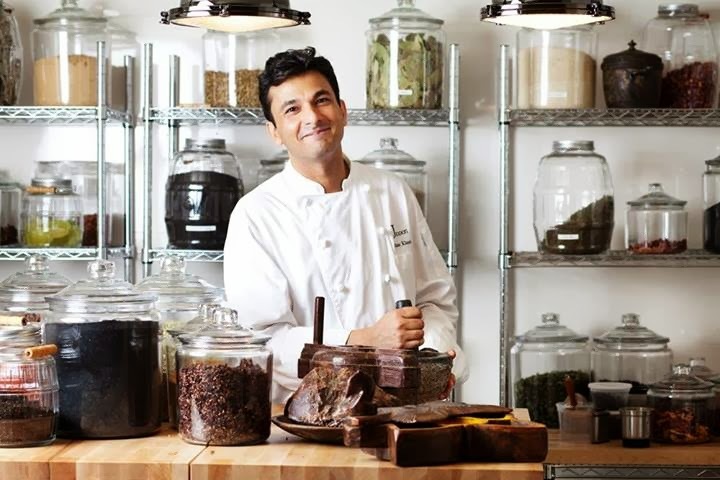 In the midst of it all, Chef Vikas took some time out for this interview. You have a straightforward story – a childhood passion for food, great culinary schools, superlative teachers to train under, myriad experiences… through it all what would you say is the one lesson you have learned about food. During 1984 my hometown was going through Operation Blue Star. We lived in curfews and everything was scarce at the time. This was the true lesson of food for me. The power of scarcity and love at the same time. We have a vast repertoire of spices in our country. Which are your favourite spices, why and perhaps a signature dish you may have conceived with one of them. Oh GOD, it’s the toughest question. I love them all, they have their own character and special features. They are like individuals. I have been lucky to grow and live close to them and cook them at fresh stages even. I love star anise and cloves. Actually I love all of them. 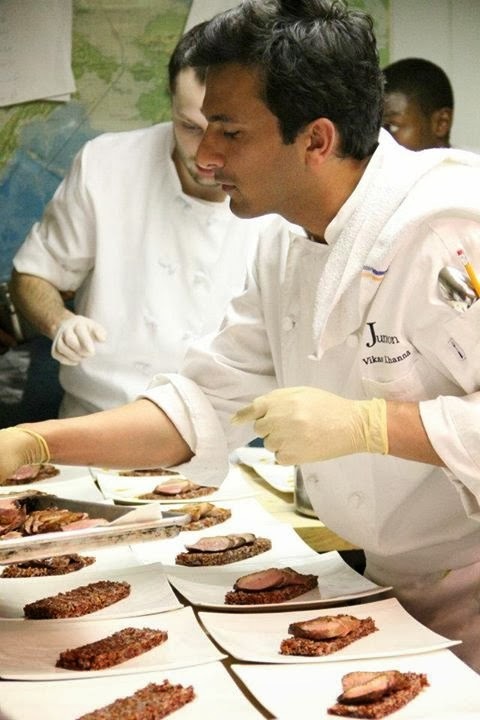 Why would you say Indian chefs are yet to be huge contenders in the international arena yet? The cooking world is constantly changing. It’s a game of re-invention and bringing more and more to our diners. Our new generation and younger chefs are much more ahead of us in the game and I love-respect it. A cookbook for children. How did you work on this book? The book was done with one of the greatest publishers (DK Books) and I have loved their approach of books with lots of images. All recipes were cooked and tested by children in UK and India. I think, though is called Young Chefs, its for everyone who wants to learn to cook in a very systematic way. Its truly very simplified. I always say that it would take a few lifetimes to document Indian cuisine. I always take a same thread and follow it all the way to the end. I am so proud to belong to such a great heritage. What kind of a chef are you in the kitchen – an abusive Gordon Ramsay, a silent terror like Marco Pierre White or the very affable Sanjeev Kapoor? I am a very quiet-patient hands on chef in the kitchen. We are in the kitchen on a purpose. When I came to America, I wanted to give a kitchen test and used salt in sugar in koftas I made. In the US salt and sugar look just the same. Some how everyone loved it.